Precision is key for successful bowling! Track knows this so they created the Track Precision Solid bowling ball. This ball uses the Prime Solid coverstock which offers a consistent grip on the lane gives this ball the ability to dig hard at the mid lane without using up all of its energy. 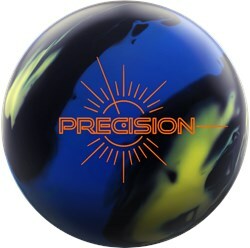 This ball uses the single density version of the Precision SD core. This uses a low RG, high differential and large mass bias to achieve the desired reaction. The Track Precision Solid was designed provide great traction at the mid lane area as well as motion down lane when up against heavy oil conditions. 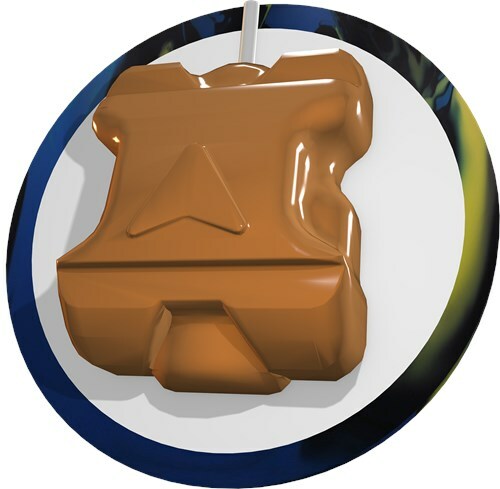 Similar Balls: Same Hook Potential, Lane Conditions & Coverstock as the Track Precision Solid. Strongest Ball in My Bag! This is the STRONGEST ball in my bag! The original Precision was one of my favorite asymmetric pearl bowling balls of all time, so I had high expectations for the Precision Solid. It did not disappoint! The Precision Solid is earlier, smoother and a couple boards stronger than the original Precision. I am amazed at how much reaction I see on the heavier volume patterns! This ball is plenty versatile! I've seen great reaction on shorter conditions as well! Well If You Were A Fan Of The Precision Then The Precision Solid Is A Must Own..With The Precision You Got The Length And Back-end Drive Through The Pins..Well With This Ball You Get The Same Aspects But Will Help You With The Medium To Heavier Oil Patterns..This New Solid Really Hooks And Hits The Pins Solid..Strong Mid-lane Reaction And A Continuous Drive Through The Pins! With The Precision SD Core And Prime Solid Cover-stock Makes This Ball Even More Versatile On Any Lane Patterns..Have Bowled On Short/Medium/Long Patterns And Have A Great Deal Of Success On All Volumes Of Patterns..Another Great Addition To The Track Bowling Line Of Bowling Balls! The Track Precision Solid is a whole lotta ball!!! Mine is drilled with the pin down below the bridge, the CG is kicked about 1" right of the pin, and the MB is about 1" right and below the thumb. My expectation was that it would roll similar to the original Precision but be a bit earlier on the front part of the lane. What I got was something unexpected, but very good. For me, the typical non-polished HP Track ball is just simply very strong on all parts of the lane. It gets through oil like a champ, reacts very strong in the mid-lane, and has a strong arcing motion that is continuous through the pins. I also find that the Precision pearl rolls the same way. However, the Precision Solid gives me a back-end motion that is much closer to the Columbia Savage or Hammer Rip'd Solid - it flips VERY strong! I tried it a couple times on my typical league shot, and it was simply too much ball for my tweener ball speed and rev rate. However, when I bowled a tournament with it on a fresh but low-scoring 42' Mark Roth pattern, the stronger backend motion was able to get me entry angle that none of my other balls were able to accomplish that day. For me, this is a "sport shot only" ball, which is just fine by me, because I have enough MP and UMP balls for that condition. I could see it working on THS for bowlers with low rev rates who need the ball to give them more power, and for high rev/high ball speed players who can control the reaction. But, for higher volume and longer sport patterns, this will definitely be one of the first balls out of my bag. My wife is low rev and likes to throw from five to ten board. Could the Precision solid be drilled to achieve this or would another choice be a better option? You can have your driller drill the ball to perform however you need it to. Due to the time it takes to produce the Track Precision Solid ball it will ship in immediately. We cannot ship this ball outside the United States.